Mombasa is a game of trading in Africa. Each player invests in trading companies establishing posts across the continent and tries to get the maximum return from their investment. On their turn, players will have to manage diamond mining, take note of the accounts, worry about share prices, and the value of the various companies they’re invested in. One of the central mechanics of Mombasa is that cards played from player’s hands are placed into several discard piles - only one of which can be retrieved at the end of the round. 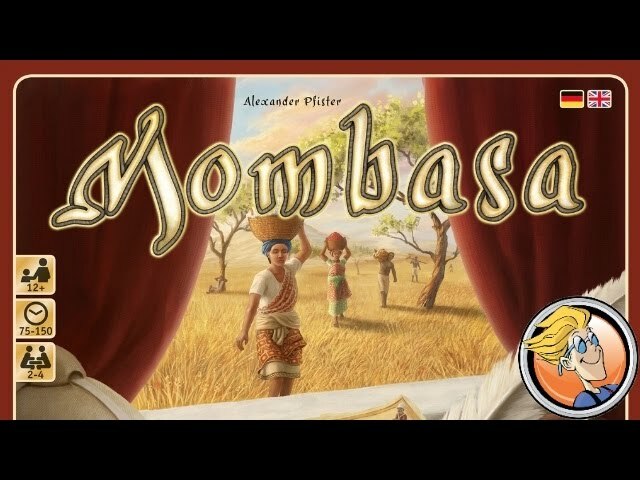 Buy Mombasa if you want a medium weight eurogame of area control and simultaneous action selection with strong thematic integration.